We all know that warmer days and nights are just around the corner, and it’s time to think about upgrading your social game in the backyard. 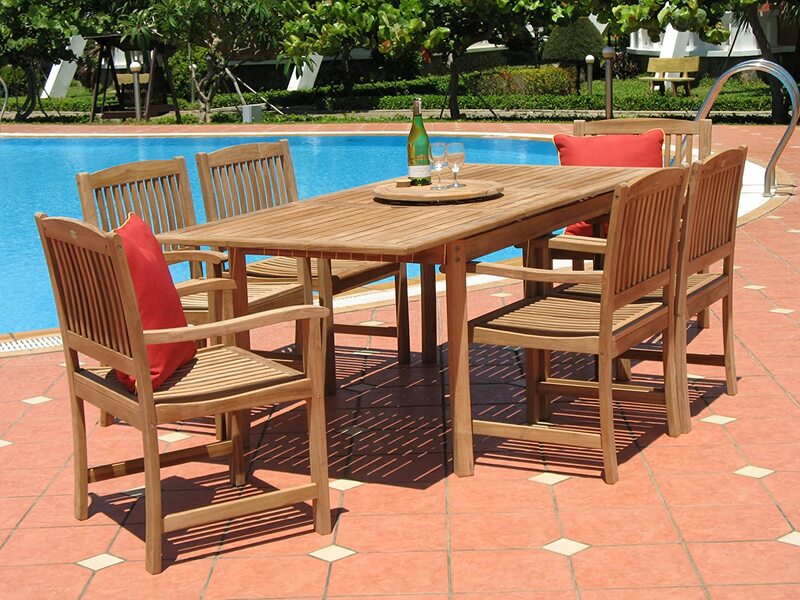 Become the host/hostess with the best set of patio furniture. We’ve selected and reviewed some new sets, here are some our favorites. This set is beautiful. For the price you get a lot and it’s easy to assemble. The chairs are sturdy and comfortable. It’s a solid 3/4 inch thick , well made by the manufacturer and they say teak needs no special care and should be able to stand up to inclimate weather , even in snow. Good value and simply gorgeous. 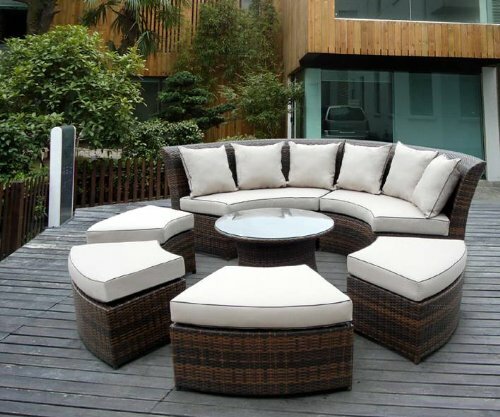 The seating arrangement is perfect for a circular fire pit area, or for easy conversation with friends. The cushions hold up to the weather, and are easy to clean. Fairly priced, I’ve seen others in the $4,000 range. Overall it looks awesome and very it’s comfortable to relax on. Creates a beautiful outdoor seating area. 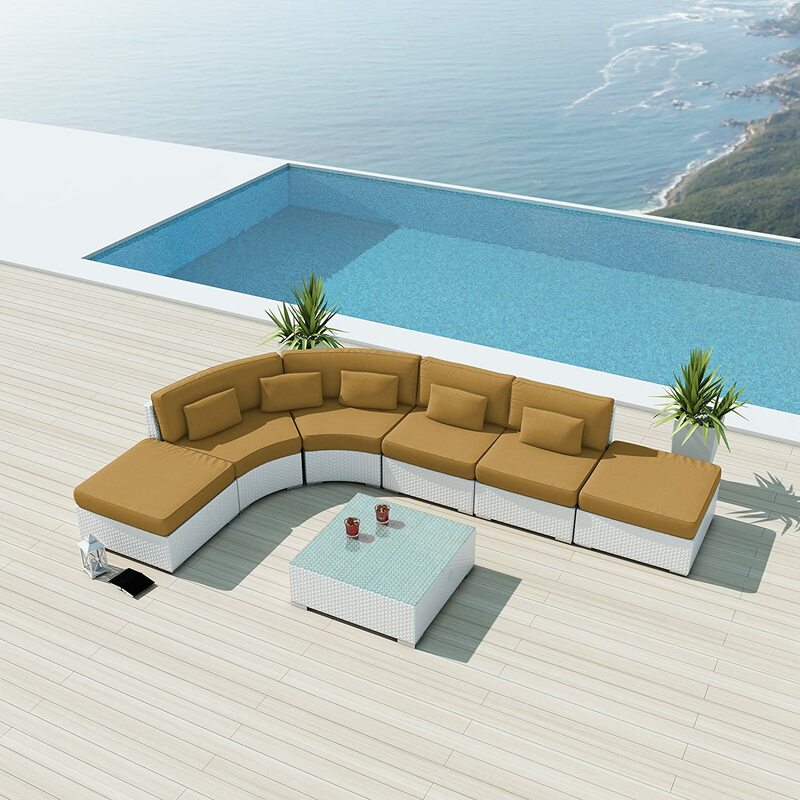 This luxurious furniture set will bring elegance to any backyard. It’s weather-resistant and easy to maintain. Also, there is no assembly required. 9 Cushion colors Available with 6″ seats and backrests for comfortable seating. It makes for an inspiring impression in your garden or patio. Really is outdoor living!